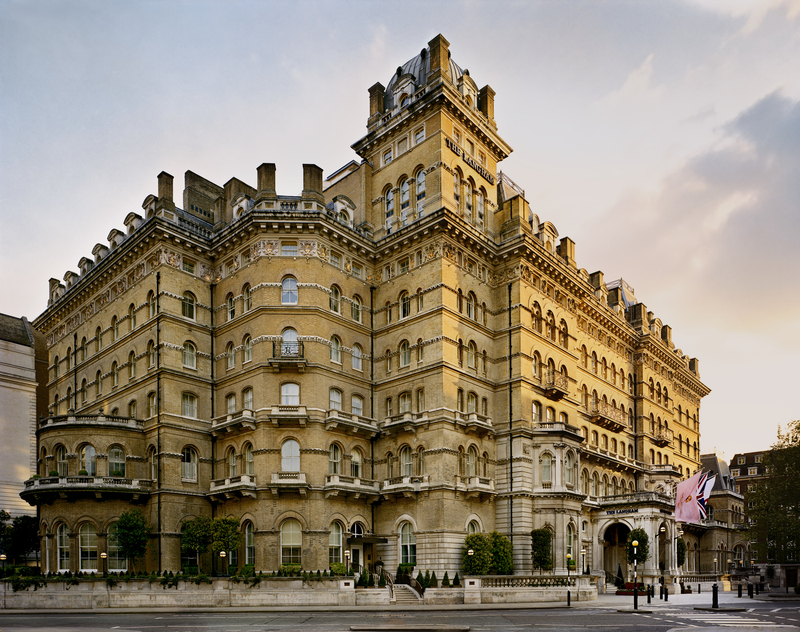 There are many sites of pilgrimage for Sherlock fans in London (The Criterion, St Bart’s, Baker St), but one that is often overlooked is The Langham Hotel, which sits in splendid grandeur opposite the BBC in Portland Place. 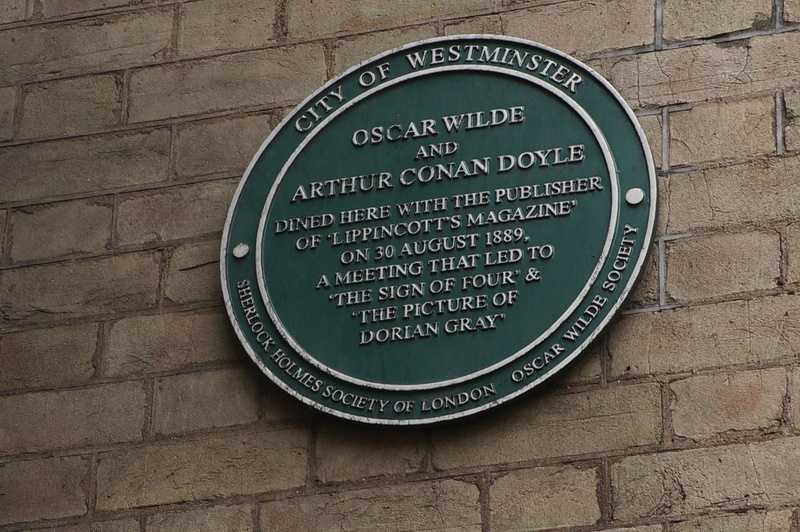 A regular haunt of Arthur Conan Doyle, not only does it feature in A Scandal in Bohemia, The Disappearance of Lady Frances Carfax and The Sign of Four, it was also the venue for a memorable dinner which, arguably, ensured Sherlock became the iconic character he is today. As Nicholas Utechin, historian for the Sherlock Holmes Society of London, points out, at this juncture Holmes was a moribund character. He had appeared in A Study in Scarlet in Beeton’s Christmas Annual of 1887, but it garnered scant attention, and it was by no means certain he would appear again. 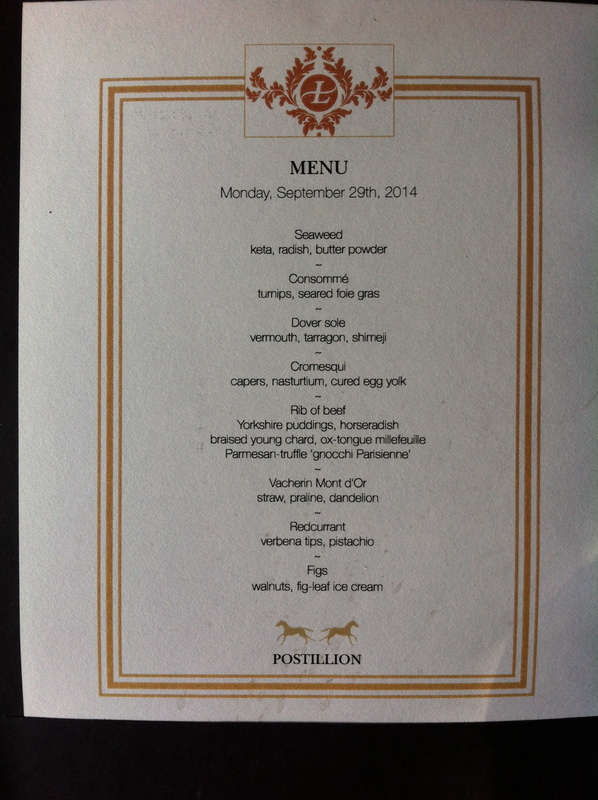 ‘The Langham dinner revived a career that was all but comatose,’ says Utechin. 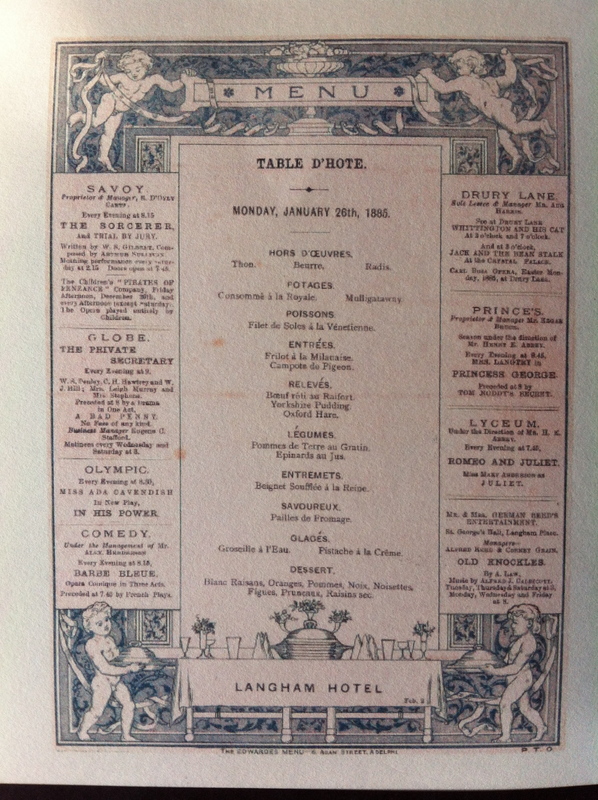 Last Monday, the 29th of September, Chris King, Head Chef of Roux at the Landau restaurant in The Langham recreated (or rather re-booted) the type of menu the men would have enjoyed at dinner, using a Victorian menu from the archives as a template. I was fortunate enough to be invited. The lunch included a beautifully intense consommé with shaved turnips and seared foie gras; dover sole in vermouth, tarragon and shimeji (mushrooms possibly not on the original list); rib of beef from the trolley and cheese with straw, praline and dandelion (see below). This precious relic has been loaned by the University of California Audrey Geisel University Library at the University of California in San Diego. 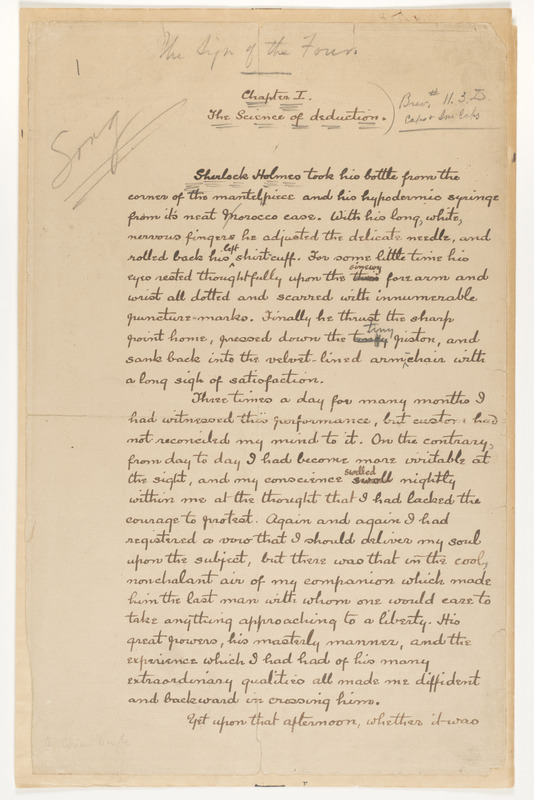 Sadly, the rest of the m/s is in the hands of a private collector, but that one page of meticulous, very lightly corrected handwriting will be on display in the Museum of London’s “Sherlock: The Man Who Never lived And Will Never Die” (£12/£10) exhibition. 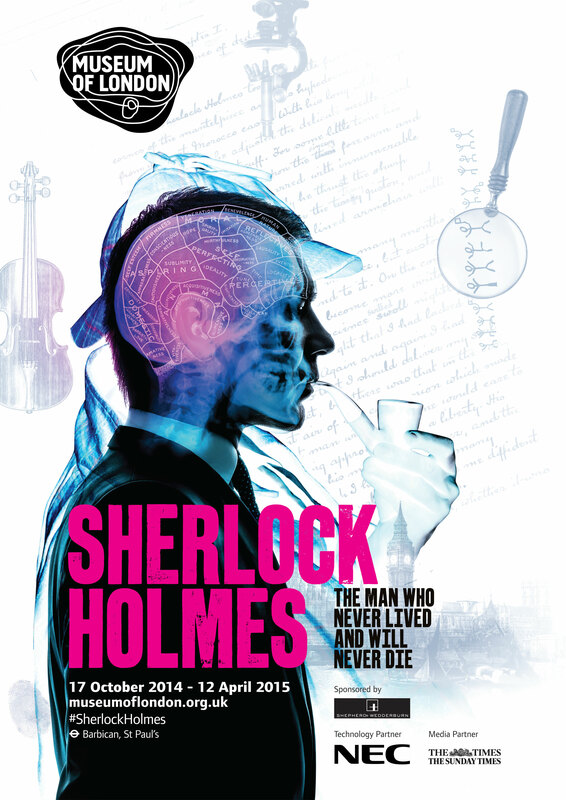 This installation covers all aspects of Sherlock’s career, from the writings to Gillette on stage, silent films, right up to Benedict Cumberbatch’s Belstaff coat, and runs from October 17-until April 2015. See museumoflondon.org.uk. This entry was posted in Books, Travel and tagged Cumberbatch, Holmes, Museum of London, Sherlock, Sign of Four, The Langham on September 30, 2014 by Robert Ryan.